Hi there! Our team is honored you are interested in hiring one or all of our team as a speaker for your event. I know it’s a tough decision and my goal on this page is to give you all the information necessary to make the best decision. Through the writings, speakings, consulting and Flavor of Grace Conferences, our team focuses on sharing God's recipe for excellent health. Below are more detailed information on current presentations in the church and on the mission field. We are blessed to work with an amazing team who put forth tireless efforts to ensure that the process of booking is efficient and easy. In addition, they are committed to quick turnaround and a fast response time to all of your phone calls and emails. In an effort to help get the word out about your event, unless you request otherwise, We announce each event on our social media connections. After the event, one of my team members will get in touch to make sure you are happy with the outcome, ensure your expectations were met (and hopefully exceeded), and to get any feedback on how we might improve. Health is taught all around us but not with the biblical insight that Annette brings to the platform. Annette delivers a fresh biblical perspective of how the Scripture and nutrition intimately coincide. 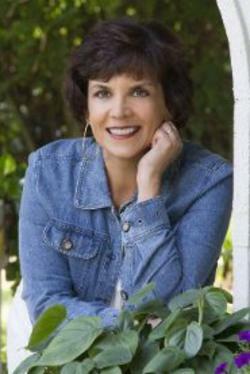 Her passion for the gift of health and nutrition make getting healthy as a Christian a rewarding journey. Her desire and enthusiasm for this topic will bring motivation and eagerness to the listener not only in the area of eating but more importantly their personal relationship with God Himself. 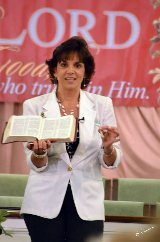 Annette Reeder speaks across America with the engaging message of God's recipe for excellent health. In this powerful message she will show how God’s food bring together fellowship, nourishment and satisfaction. Her speaking has been part of the Lifeway’s dot MOM conference, Body & Soul Conferences, Teach Them Diligently Conferences, Losing to Live Video Series, Fort Leonardwood and Fort Lee Military Bases, the Flavor of Grace Conference plus churches all across the country. God's health book - the Bible can change lives in a dramatic way especially in their health. From the internet ~to the bookstore ~to the doctors office ~ to the TV: everyone is an expert and no one seems to agree. What is true health and how do you find it? I suggest check the Word. Simple? Not always but yet the answers are right there waiting to be discovered. If you are ready for answers then this presentation will give you the directions to follow for the Treasures of Health. Learn and read for yourself what Scriptures will make a difference in how you feel and in your satisfaction in eating. Eating to live has never been more tasty! Nutrition affects everything, even your child’s success. Raising our kids to be ready just as Daniel and Esther were can be a challenge. Come and learn 4 simple ‘tasty’ steps on how changes in your child’s diet will impact their comprehension and ability to perform not only today but as they become the leaders of tomorrow. Learn fun tips to find your favorite foods and your not so well-known foods at the local markets. Follow this discovery with creative cooking tips to experiement with the foods discovered. This class will be designed around your own local market and season. Foods will be purchased ahead of time and prepared in class. Of course, we would not dream of cooking unless you then get to enjoy the finished products. Healthy Living Scorecard – Are you winning? Have you ever wondered if you are following the right rules to gain the health you desire? It seems everyone is a referee but yet nobody understands the rules. This seminar will teach you the rules of the game and the strategy for winning. Included as a bonus is a personalized scorecard* just for you to take home and apply what you learned to gain the winning edge. Why do we eat what we do? Is our dilemma similar to Eve's? Surely not or at least we hope not. Come and learn how we got in the mess we are in today with Christians being one of the sickest groups in America. But there is hope we can change that and learn the secrets to make it happen. Reaching a society that is fixated on food makes it easy to share Christ. Learn how to share the Gospel while delivering a plate of cookies or inviting your neighbors into your home. Jesus, food and fellowship make the perfect recipe to build bridges in our community. SOS – Solutions on Stress – Recognizing the Smoke Signals of the Stress in Your Life. No, it is not a lack of chocolate that is causing the stress in your life. Learn to recognize stress before your family recognizes it for you. If God designed us this way with curves and quirks then it might be best to learn to keep them. There are ways to protect what we have and make it healthier at the same time. Even if you have lost a few parts along your journey there are still tricks to keeping what you have left. Enjoy this fun seminar as we band together to save the Alamo of our body. Losing weight, looking better, feeling energetic - don't take them for granted. The first step of acquiring this blessing is hard but keeping it and continuing to move forward is even harder. It seems there is an ambush around every corner in the grocery store, or in the mall or sometimes even at church. Learn the simple steps to finishing strong and not quitting. Taste of Israel – Experience the taste of Israeli foods as we learn the significance of our Jewish roots. ​No trip compares to the life-changing journey to Israel. So much to see, so much to learn and for me (Annette) so many foods to taste and discover. Although I can’t offer you a camel ride, I can serve you a sample of the taste of Israel at your church. This tasting is an opportunity to sample some Israeli foods and combine it with biblical teaching about the places where Jesus lived. Come and learn the biblical and nutritional meaning of the olive tree, fish, pomegranate and much more. This will delight your senses and encourage your walk with the Lord. Back to the Basics – The perfect start to understanding God’s design for health. Do you feel overwhelmed with where to start and who to beleive when it comes to healthy eating? In this presentation, I share three keys to transform your health from a Biblical perspective in just 21 days or less! Love to Eat But Don't Know How to Cook - Enjoy this Basics Class to learn the cups and ounces, the stir and shake, the pot and crock, and the taste and desire of real homemade cooking. I would love to hear from you and start the conversation about how we might partner together for your next event. Click here to inquire about speaking.